Today I am excited to bring you one of my favourite UFC fighters Alex Volkanovski who is currently on the rise, ranked 11th at the time of this podcast and getting set to fight Chad Mendes on the end of the year UFC Card. If you have never heard of Alex he is a 145er and a conditioning beast and has recently beat the likes of Darrin Elkins (who was on a 6 fight win streak at the time) Mizuno Hirota and Jamie Kennedy which was the fight I truly fell in love with guys style. Working for the UFC ... See More I’ve had the honour to see a lot of his fights live in Australia and had the honour of training him here while I was in Thailand. 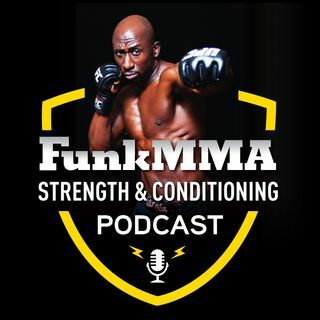 Can you believe he used to weigh over 200 pounds and now fights at 145…anyways you are truly going to enjoy tis podcast learning more about Alex, how he got to the UFC which is a crazy story and how he has changed up his conditioning and training to help him feel the best he has ever felt.